Today I would like to share with you the newest Interview with the Amazing Human Beings our there who inspire me. This time it is Kiki Bosch – a very special young woman whom I had the pleasure to meet in person two days ago at the Berlin Yoga Conference Pop Up#3: the Winter is Coming [See some photos here]. We connected previously online through a common friend, but of course nothing beats a personal connection – talking to her and reading into her energies, I was very happy to discover a fellow thinker and doer of a very similar make-up and on the same vibrational level. 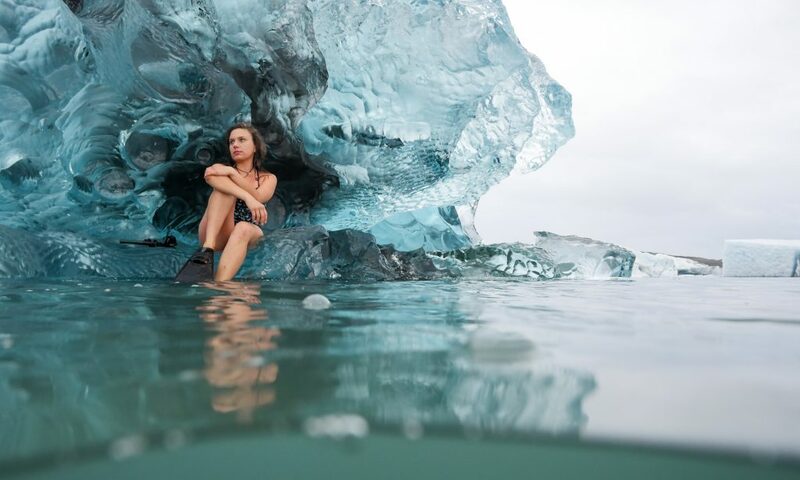 Kiki Bosch is an Ice free-diver and the master-mind behind the project “Disturb the Comfort” and “& Comfort the Disturbed”. Like me, she organizes events that offer a transformational space to others, where people come in contact with various methods and techniques to tap into their inner being and to realize their human potential. Q: Where do you come from originally and what’s your background? How did you get into this very specific and quite extreme hobby of doing free-diving in the cold waters? A: I come from a small town in the southern part of the Netherlands. When I was 20 years old, I went through a pretty hard break-up and the resulting legal issues with my ex-partner. I hit a moment where I just couldn’t handle this anymore and decided to go for a 3-month adventure to Latin America. This is now 5 years ago and I still consider myself a Traveller much more than homebound. I have always loved the water, I have been swimming before I could walk. 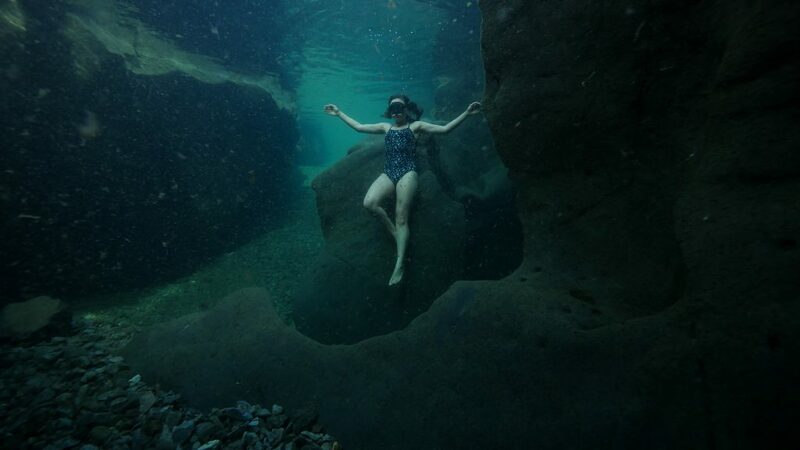 On one of my adventures I tried free-diving and fell in love with the sport straight away. So much, that I booked a trip to Thailand to learn from some of the best free-divers out there. But this trip took a bit of a different turn when I got assaulted by one of my coworkers. I didn’t really know how to handle that and my life spiraled into a depression. At one of my darkest moments, I saw a documentary about Wim hof, he said “Try my method to become Happy, Healthy, and Strong” – and at that moment there was nothing I wanted more than that. So I did his breathing method and cold exposure. This gave me so much more than I was expecting though: in the cold, I was able to centre myself, to be kind to myself, and most importantly, to stop blaming myself for things I did, didn’t do, should or could have done differently. In the cold water, I found a moment wherein I could just BE. I always say it is like a “forced meditation” once you are in the water, you really have to let go and look within yourself. Q: What is the secret behind what you do? How did you develop this skill of staying without oxygen for a long time, with the pressure of the depth affecting your body & mind, and, on top of it, in the ice-cold waters? A: I think the biggest secret is that I really needed it. The cold literally has been my lifeline, so I gave it everything I had, because I trusted in Nature more than in myself. Through this connection with nature, I got to see how much we humans are nature too. We love to see us and nature as two separate things, but the moment you really let go and surrender to nature, you realize how much you are part of it. How much you are part of the water, the wind, the air and earth. They are all within you and you are within these forces. It might sound very spiritual but for me, this has been the ultimate truth I found within my practice. Sometimes the water accepts me, sometimes it doesn’t. You really have to surrender and trust in order to free-dive, you have to trust in your own body and its signals to dive into the depths of the ocean and yourself. Q: Looking at what you do, one wants to ask this question: Do you think anyone, no matter what their background and health conditions, could develop the kind of stamina needed for free-diving in the cols waters? A: Yes, I think this is a power we all have within us: the one that we are not tapping into at the moment. However, I don’t think that what is called “ice free-diving” is for everyone. [There are many ways that we can tap into our inner power] – It might be yoga, running, swimming, baking, being a parent. [The point is] It is not about the sport, it is about pushing the mind and the body into a situation where the surrender is possible. It is the creation and acceleration of trust, within yourself and your environment. Of course, you need to train your body and mind in order to achieve this. But I am 100% sure that anyone can reach this point in their own practice. Because it is not about the ice, about free-diving or about the combination of both. It is about the state you create for yourself, to live a life that you are proud of, that challenges you. Q: How did the idea for “Disturb the Comfort” come about? Do you find it challenging to get people to come and “get out of their comfort zones”? A: Like I described above, for me it is all about getting out of our comfort zones to tap into the full potential of our being. When I teach others about this, I use ice as a mirror of the state of mind one is in, as a reflection of how one could handle situations in daily life: how we cope with stress and how we can make this mechanism work to our advantage. Lately, the second line of my business ” &Comfort the disturbed” is becoming increasingly more important. I believe that getting out of our comfort zone is something we can only do collectively: we need to feel supported, we need to have a tribe we can rely on. We can get out of our comfort zones as much as we want, but sometimes life hits you hard, and then it is important that we have people around us that understand, that care and that stick to us. So the two really go hand in hand: we are much more daring to leave our comfort zones if we know we have a tribe that cares and loves us no matter what, no matter what mistakes we make, no matter how many times we fail – they will always be there to try with us one more time, over and over again. Until we reach a goal we never thought was possible. We can not reach out full potential without others. That is why I am creating these events like “Fu#k the blues“, to gather a crowd of people, to engage and support. Because we are not alone in this process. Q: What were some of the reactions so far with the events you did previously? Did you meet anyone whose life was “changed” or whose understanding was “shattered”, in a good way? A: Sitting in an Ice-bath for two minutes makes you tap into a more primal state of your being, you go back to the reptilian brain because Cold is a “Stress” for you body. You re-focus and often many emotions come up. This can be definitely life-changing because often it is these emotions that we are most “afraid of”, the ones that we put back into the corners of our minds [our shadows]. Once they come up and we face them – they lose their power over us. It might be an emotional process, but the result can be a big shift in the person’s life. These experiences always need proper integration to get the best out of it, that is why I am also planning more retreats next year, to make the process more rounded and to help the people learn more about themselves along the way. Q: Which direction are you planning to go now? What’s next for you and for the project? We will definitely do more Events next year, we are thinking about 2 or 3 cities. Besides that, I am going to collaborate with some other events that are happening in Europe. Retreats, courses and classes. There are many exciting things coming up and after the event “Fu#k the Blues” the website will be redone to facilitate information about all these happenings and events. So Stay tuned for updates! Q: If someone asked you for an advice regarding how to live a happier and more fulfilling life, what would you tell that person? A: I would say that I don’t have THE answer, and I don’t believe that there is an answer. When you ask that, only more questions follow…. what is happiness, what is fulfillment, what is being alive. It might sound esoteric, but these questions can only be answered internally. Because my happiness is not yours and the other way around. We need to find out what truly makes us happy and brings us fulfillment. For that, there are tools and strategies we can use, like an Ice-bath, yoga, movement, NLP and many more. This is the exact reason why I designed the event in this way, offering the people courses that they can do and maybe answer these questions individually, to find out what makes them tick, what puts them into a flow state and how they can take care of their body and their mind in the best way possible. We’re definitely going to be there, so come by and say hello!